It's offical!!! 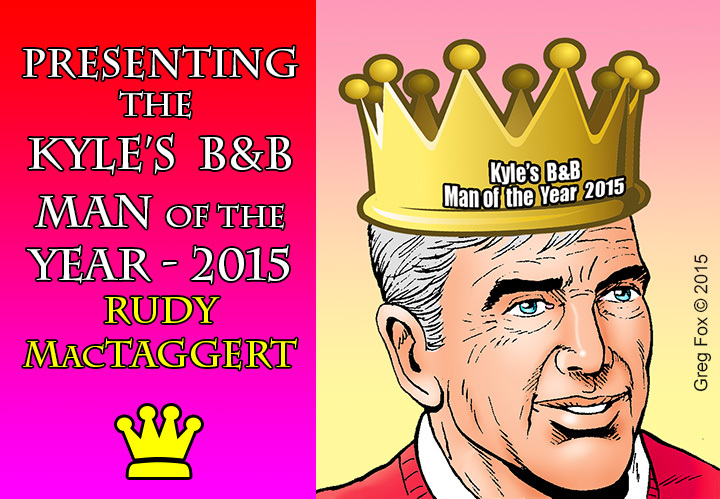 Drew's 3-year winning streak is over, and Rudy has seized the crown for Kyle's B&B Man of the Year-2015 in a stunning win,with an over-whelming majority of the vote!!! Right from the start this year, Rudy shot into the lead with voters, and while Drew, (and Brad), were close behind for a little while, Rudy rather quickly gained a very sizable lead that never seemed to be in jeopardy for the entire race. 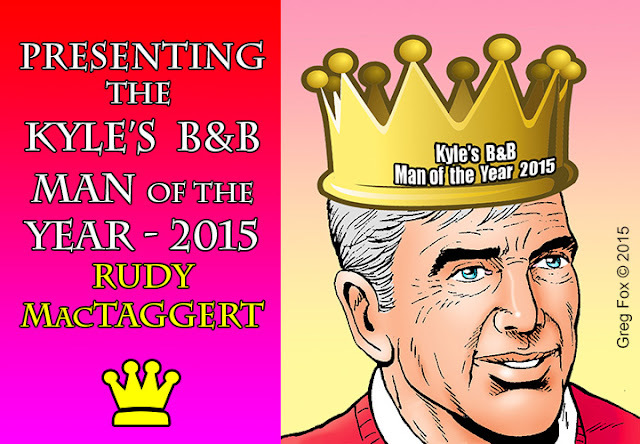 In fact, winning with an amazing 66% of the vote also smashes Drew's record last year of winning with 32%. 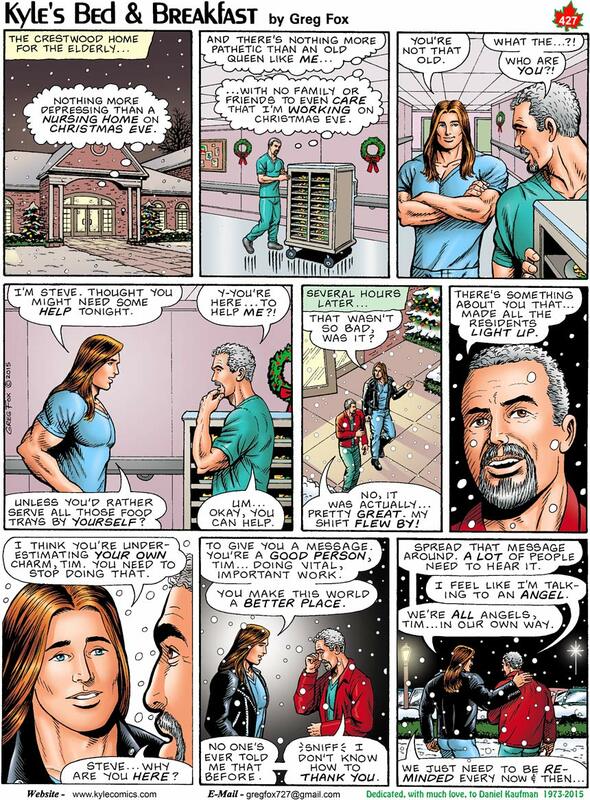 Voters were clearly hell-bent on Rudy winning that crown this year, (or at least, in knocking it off of Drew's head!). Honorable mention does go to Drew for his 1st Runner-up win, (7% of the vote), and Brad for2nd Runner-up, (5% of the vote). Bubbling under with some mid-range numbers were Jake, Kyle, new-guy Jeremy, and surprisingly Price,who went from dead-last in last-year's competition to tie for 5th place in this year's! You can see the final results for all candidates, posted below, (scroll down). Thank you to everyone for voting, and as we said last year, if your guy didn't win this year... there's always next year! Start campaigning for him now.... it's never too early!! !